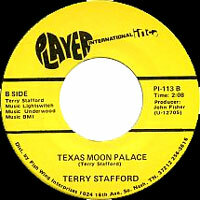 Chanteur Pop US né Terry LaVerne Stafford, le 22 Novembre 1941 à Hollis (Oklahoma). 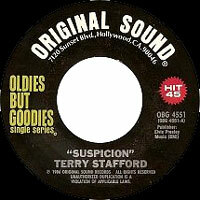 Terry Stafford s'installe en Californie, en 1960, dans l'espoir d'y faire carrière dans la chanson ou le cinéma. 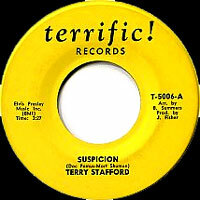 En 1964, il obtiendra le succès avec un titre d'Elvis Presley : "Suspicion", avant de retomber dans l'anonymat. Il est décédé le 17 Mars 1996 à Amarillo (Texas). 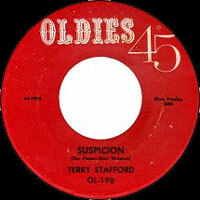 One-hit wonder Terry Stafford was known for his Elvis sound-alike single "Suspicion," which became a Top Five smash even at the height of Beatlemania in 1964. 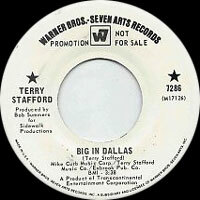 Stafford was born in Hollis, OK, on November 22, 1941, and grew up in Amarillo, TX. He moved to Los Angeles after high school to pursue a singing career and performed at various local dances and social events. 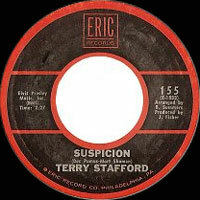 He got the chance to record a demo and chose "Suspicion," an album track from Elvis Presley's Pot Luck LP (1962). 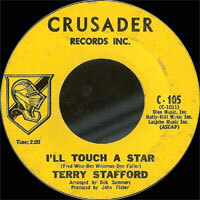 A local DJ took the song to Crusader Records, which remastered it and released it nationally in 1964. 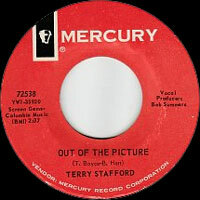 It went all the way to number three on the pop charts and did so during a week when the Beatles held every other spot in the Top Five. 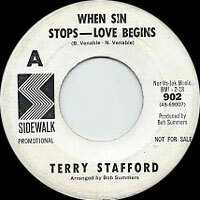 Stafford was never able to duplicate its success, though he did reach the Top 30 with his follow-up single, "I'll Touch a Star." He continued to perform and also branched out into acting (the film Wild Wheels) and songwriting, penning Buck Owens' hit "Big in Vegas." 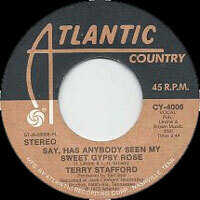 In 1973, Stafford signed with Atlantic's newly formed country division and recorded a full-fledged country album, Say, Has Anybody Seen My Sweet Gypsy Rose. 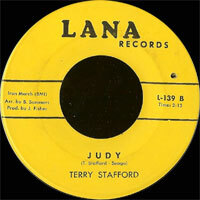 The title track edged into the country Top 40, and its flip side, the Stafford co-write "Amarillo by Morning," also enjoyed some regional popularity. It was later covered by George Strait for a major hit. 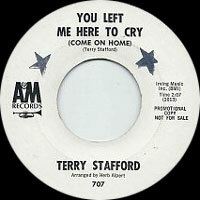 Stafford recorded for Atlantic through 1974 then disappeared from the music scene. 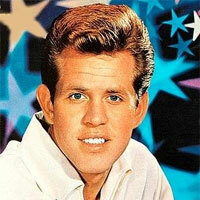 He died of liver problems in Amarillo on March 17, 1996. 04/1963 SP A+M 707 (US) . 02/1964 SP CRUSADER C-101 (US) . 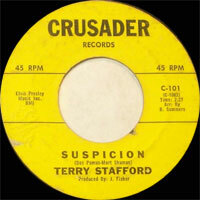 08/1964 SP CRUSADER CRU-109 (US) . Follow The Rainbow / Are You A Fool Like Me? 1964 SP LONDON 33 DLM 5030 (ARG) . 1964 SP LONDON 33 DLM 5031 (ARG) . 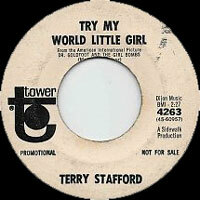 12/1964 SP OLDIES 45 OL 198 (US) ..
1966 SP TOWER 4263/4264 (US) (promo) . 09/1966 SP SIDEWALK 902 (US) . 04/1967 SP SIDEWALK 914 (US) . 05/1969 SP WARNER BROS. 7286 (US) . 03/1971 SP MGM K 14232 (US) . 07/1971 SP MGM K 14271 (US) . 08/1973 SP ATLANTIC COUNTRY CY 4006 (US) . 03/1974 SP ATLANTIC COUNTRY CY 4015 (US) . 07/1974 SP ATLANTIC COUNTRY CY 4026 (US) . 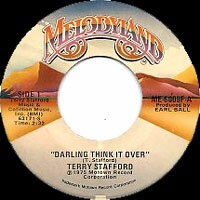 04/1975 SP Melodyland ME-6009F (US) . 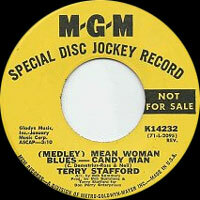 09/1975 SP Melodyland ME-6022F (US) . 02/1977 SP GRT - Casino GRT-113 . 01/1981 SP Firstline FLS-710 (US) . 1981 SP COLLECTABLES COL-1291 (US) . 1983 SP Eastland ERS 101 (US) . 1985 SP Player Int. PI-113 (US) . 1985 SP Player Int. PI-115 (US) . 02/1986 SP Player Int. PI-125 (US) . 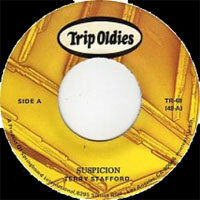 1986 SP Original Sound - Oldies But Goodies OBG 4551 (US) . 02/1989 SP Player Int. PI-134 (US) . 19?? SP Treasure Chest 003 (US) . 03/2007 CD Dorsey 1050 (US) .